Despite an initial low ratings BBC2 have announced they have already re-commissioned Count Arthur Strong for a second series. The anouncement comes alongside the confirmation that Getting On writers Vicki Pepperdine and Jo Scanlan will soon be shown on BBC4. Puppy Love is a story of love, dogs and the love of dogs. Set around The Wirral-based dog training classes run by the formidable Nana V (Jo Scanlan) – “For All Your Dogging Needs”, Puppy Love follows two very different women - Nana V and Naomi Singh (Vicki Pepperdine) as they navigate their headstrong dogs, impossible teenage kids and disappointing husbands. Puppy Love is 6x30-minute, written by and starring Jo and Vicki, directed by Susan Tully, produced by Jo Willett and executive produced by Saurabh Kakkar and David Baddiel. It is a BBC In-House production in association with Woof Productions. It was commissioned by Shane Allen, Controller, Comedy Commissioning and Janice Hadlow, Controller, BBC Two and BBC Four. Shane Allen: "Puppy Love both celebrates and sends up the deeply held relationship between dogs and their owners. This is a real passion piece from Jo and Vicki who have yet again succeeded in creating a wonderful set of characters." Count Arthur Strong, which debuted on BBC Two last night, has been re-commissioned for a second series. Written by Steve Delaney and Graham Linehan and starring Steve as ex-variety star Count Arthur Strong alongside Rory Kinnear as Michael, the son of his old performing partner, series two will see more laughs, tears and injuries as their lives continue to intertwine. Count Arthur Strong has had his own Radio 4 series since 2005 and made the successful transfer to television with a debut audience of a million viewers on BBC Two last night (Monday 8 July). Count Arthur Strong, series 2 is 7x30-minute and is written by Graham Linehan and Steve Delaney. Starring Steve and Rory Kinnear, the series is a co-production between Retort and Komedia. Executive producers are Jon Rolph for Retort, Richard Daws for Komedia and Gregor Sharp for the BBC. The series is produced by Richard Boden and was commissioned by Shane Allen and Janice Hadlow. 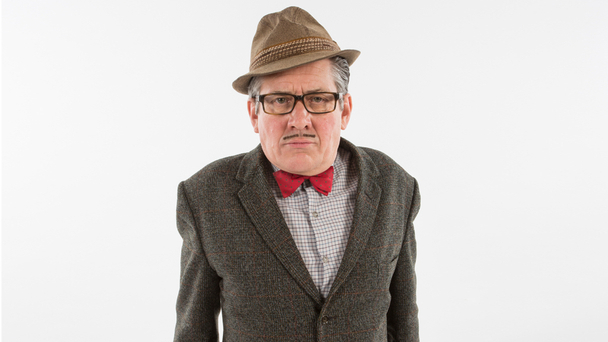 Shane Allen: "It's a huge privilege to see Count Arthur Strong return. The combined talents of Graham Linehan, Steve Delaney and Rory Kinnear are too irresistible. This series has all the hallmarks of a BBC Two comedy classic with its superb character at the heart of it, brilliant writing and a dream supporting cast. Long may Arthur cause chaos around him."